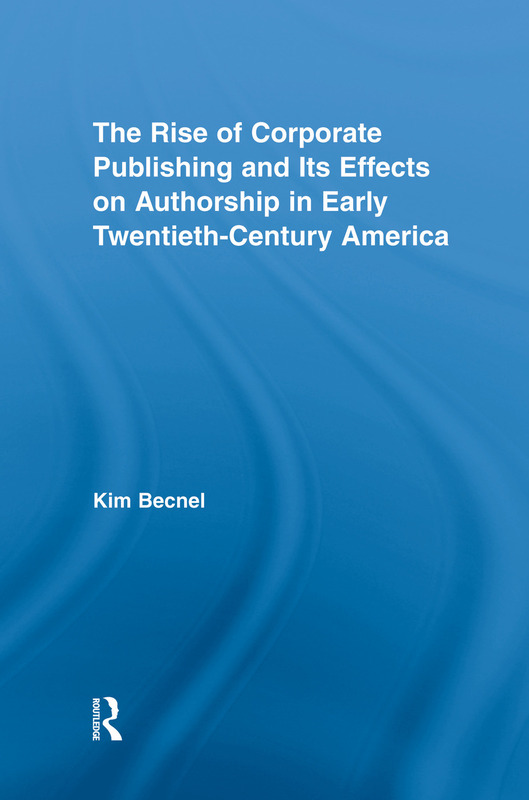 This study examines the way that the modernization and incorporation of the American publishing industry in the early twentieth century both helped to foment the emerging late industrial cultural hierarchy and capitalized on that same hierarchy to increase readership and profits. More importantly, however, it attempts to trace the ways in which recently-introduced marketing techniques, reconceived ideas of audience, and new paradigms in author-publisher relations affected American writers of the 1930s and the literature they produced. Using case studies of authors chosen from various points on the spectrum of so-called high-, middle-, and lowbrow literature, the author demonstrates that, contrary to popular critical opinion, this new publishing landscape--dominated by big-business practices and strict categorizations of audiences, writers, and works--did not ruin or corrupt literature but in fact enriched our literary heritage by providing authors with inspiration and opportunity that they may not otherwise have had.